A SCOTS student has set up the UK’s first ever university society in support of the Help for Heroes campaign. Seonaid Holsgrove, 21, from Wemyss Bay, is in her final year at Strathclyde University and set up the movement to help raise money. She was spurred into action by anti-war protests and groups at the university against troop activities, and she wanted to do something to show that there is support for the forces. Ahead of today’s Remembrance Sunday services, she said: “On campus it feels quite anti-war and anti-soldiers.“A Navy recruitment team came to the university and they had to leave because of the protests. A stall was set up in the university last Monday to attract more members to the group which managed to raise £223.40 in donations. The group has also organised a charity army pub crawl and is planning a black tie ball with the “I love my heroes” theme for Valentine’s Day. Miss Holsgrove’s dad, Michael, and her two uncles Alan Cory and Tony McDade were all in the RAF. She said: “I come from quite a military background. I have got a lot of family and friends who are involved in the military. “It is always something I have known. Miss Holsgrove added: “It would be really nice if it continued when I leave next year. I was surprised with the amount of support we have had so hopefully someone will keep it going. Philip Whyte, president at Strathclyde Students Union said that the Union fully supports the society. He added: “They recently had a stall in the association and they are an affiliated society. Bryn Parry, CEO and cofounder of Help for Heroes, praised that work Seonaid is doing. 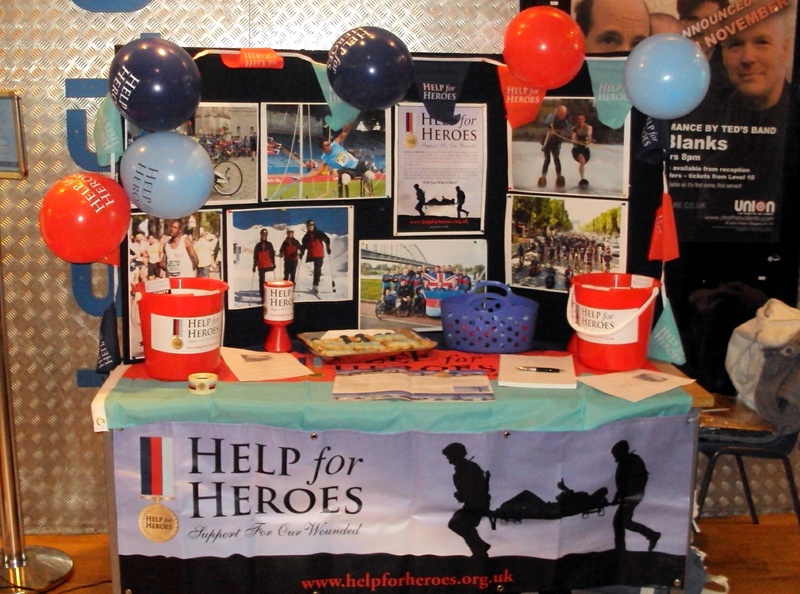 He said: “Help for Heroes is all about ‘doing your bit’ and Seonaid Holsgrove is a wonderful example of someone having a good idea, rallying support and having a great deal of fun while they raise money for a wonderful cause.